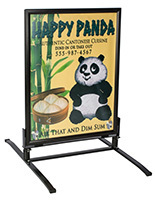 Want to purchase quality outdoor snap frames for your business at affordable prices? 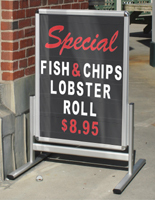 Browse this website for top notch waterproof pavement signs in an array of unique designs for use inside or outside a storefront, restaurant, or theater. 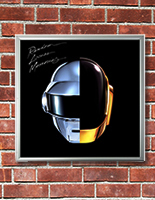 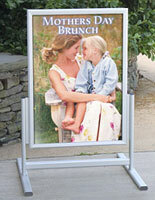 Artwork can be updated in seconds with these outdoor snap frames that mount an image in seconds. 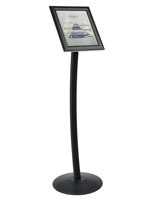 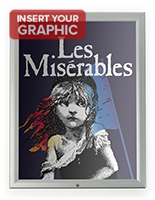 Many of these exterior-rated poster holders feature a protective lens to protect images and keep them dust - and fade-free. 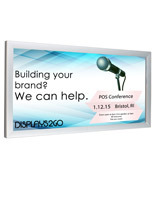 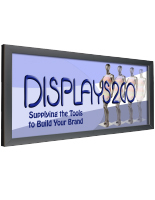 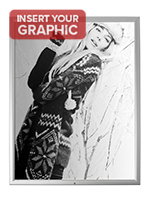 These outdoor snap frames, also known as insulated business framing, showcase posters, advertisements, and artwork. 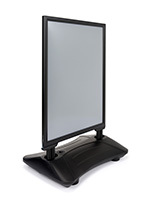 These quick-clip systems are quick to load and update due to hinged sides. 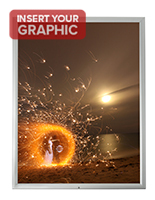 In addition, they are exterior-rated are easy to update on short notice. 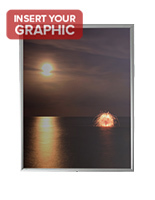 Available in lots of finishes including black or silver matte finish, some lined framing ships assembled. 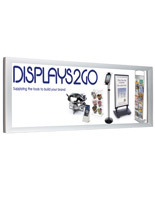 Put one of these accessories outside a storefront to alert customers to what’s inside. 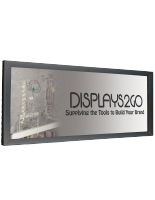 Each of these ready-made displays can easily be wall-mounted to a wood or plaster surface with simple screws using an Allen wrench. 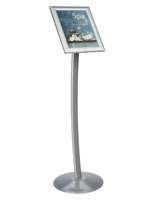 What kinds of outdoor fixtures are available at this website? 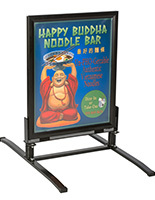 This selection of exterior-rated insulated products includes economy styles made of aluminum edging with a thinner profile, though when hung they are just as sturdy as thicker models. 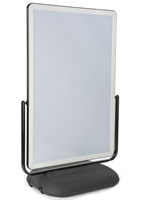 There are lockable lightbox models that distribute lights from the edges without hot and cold spots. 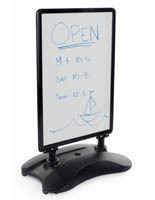 There are double sided wet erase sidewalk signs with white panels for writing, and markers, plus rubber gaskets built in to prevent water damage. 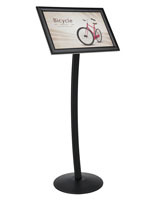 Where can these pavement signs be used? 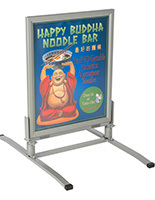 These lockable outdoor snap frames can be used to advertise menus outside a restaurant or café. 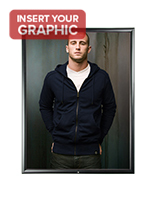 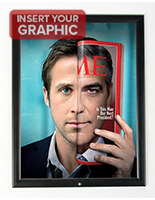 This lined framing has a protective lens that keeps sunlight and debris from damaging the graphics. 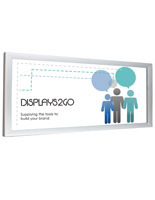 This type of insulated fixture can be used as wayfinding signage in an office building. 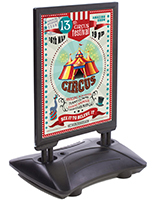 Some accessories have bases for filling with sand or water to keep the units stable. 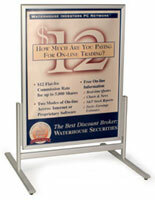 This sidewalk signage is great for a parking lot, retail space, airport, bank, or community center. 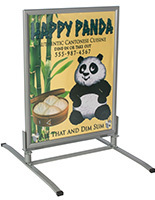 Other poster signs can be positioned horizontally or vertically depending on the orientation of the object being framed. 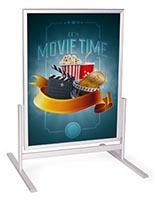 Wall mounting economy poster has a thinner profile that is stable once mounted, and this item is great for menus, or as wayfinding signs in schools, airports, bus terminals, or train stations. 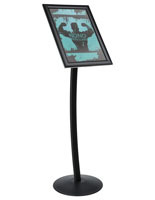 Some models flip open with flat metal springs, making them easy to mount and very affordable. 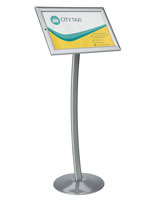 With these pavement signs' waterproof design, they come in extra handy during bad weather! 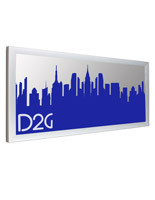 This insulated framing with a protective lens is exterior rated. 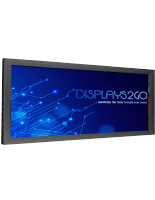 Some of these snap frames are 22mm, which is a thinner profile than the standard 32Mm models, saving the customer a great deal of money. 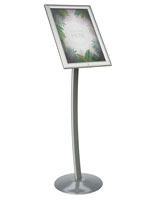 The .985” extrusion makes the fixture less rigid than units with a thicker 1.25” profile, yet this unit is just as stable, once mounted. 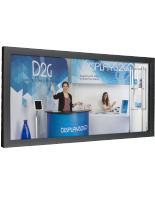 Some waterproof displays that are exterior-rated information centers are designed to hold a poster, surrounded by a number of pockets that hold supporting materials like brochures and catalogs. 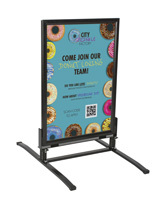 When placed outside a shop or storefront, these fixtures, made of ABS plastic and acrylic with removable dividers and a protective lens are effective advertising tools that don't cost a lot. 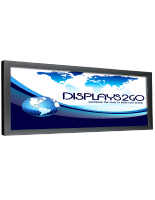 These accessories are perfect for schools, offices, universities, recreational halls, convention centers, movie theaters, and hotel lobbies. 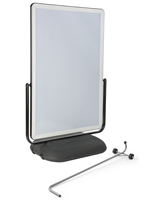 The lined snap frames mount vertically or horizontally, in durable aluminum with a black anodized finish that is chip - and peel - resistant.